Biobanking, though 17% of facilities have been around for more than a decade, is just now starting to get recognition. Much of their research has been used in studies which have become big steps forward for the medical community. However, in many cases the people reading the study have no idea what biobanks are, or how biobank software works. So we’ve put together a basic guide of the whats, whys, and hows to help you out! Biobanks are research facilities, founded in order to conduct studies on various diseases. Often funded by the government or foundations, they look at vast amounts of samples for their research. So why are they doing this research? Over half (53%) of these facilities were established to research a specific disease, while 29% list general research as their reason for establishment. They do this research in order to find ways to combat the disease. The research done by these facilities is done by looking at large amounts of samples and trying to find a common theme. 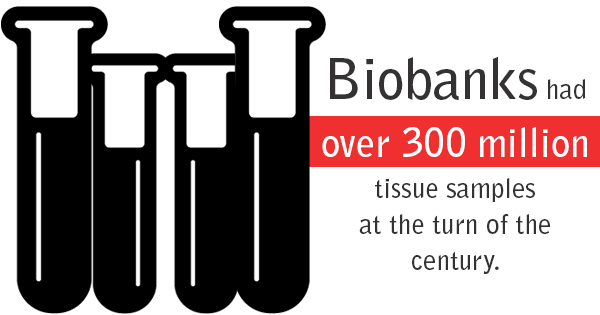 Biobanks had over 300 million tissue samples at the turn of the century, and that number increases by about 20 million each year. This large amount allows them to find patterns in the samples where a genetic mutation might happen in order to begin the disease. If they can find the spark, they can then conduct research to figure out how to stop that from happening. So how are samples cataloged? Biobanks have a sample management system, where each laboratory sample is categorized by age, race, gender, etc. Then for each study, researchers can pull whatever they need from there. Biobank software has become increasingly advanced in the last decade allowing researchers to do more studies with better accuracy.